Pierrepont is a village in the Department of Meurthe et Moselle on the N43, 10 kilometres east-south-east of Longuyon. The cemetery is well indicated from the town. The two Commonwealth war graves are located in front of the memorial. Pierrepont French National (Mixed) Cemetery was made in 1920. 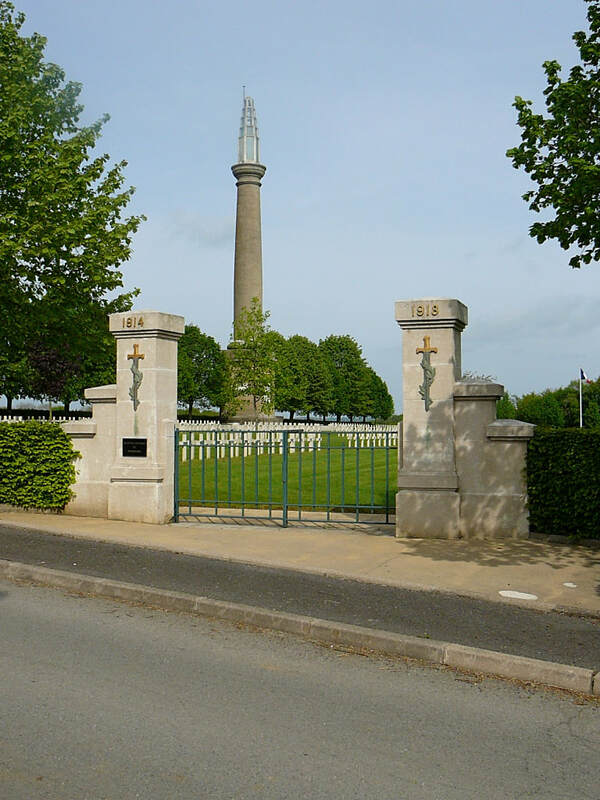 It contains more than 650 French and 500 Allied war graves from the First World War. Two ossuaries contain the remains of a further 2,300 unidentified French soldiers. The two Commonwealth war graves, close to the ossuaries, came respectively from La Mouriere German Cemetery, Piennes, and Piennes Communal Cemetery German Extension. 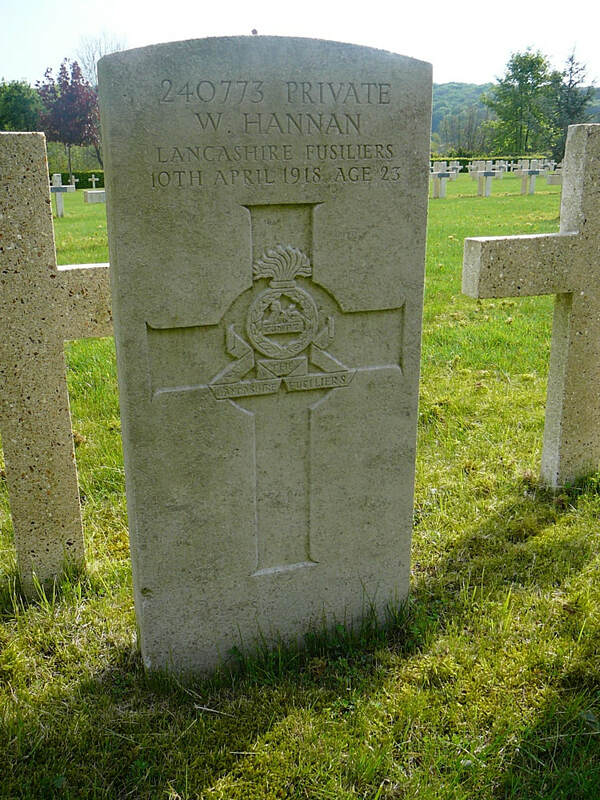 240773 Private Wilfred Hannan, 1st/6th Bn. Lancashire Fusiliers, died 10th April 1918, aged 23. Son of James and Elizabeth Hannan. 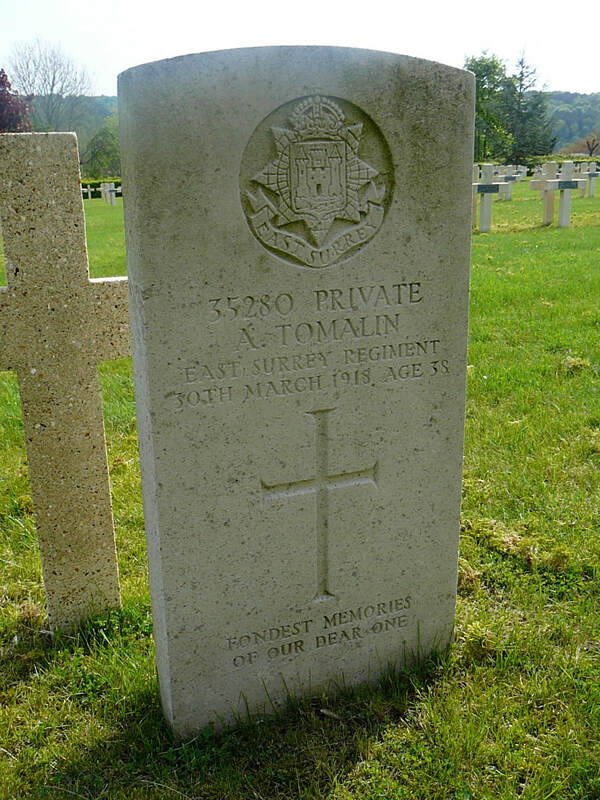 35280 Private A. Tomalin, 8th Bn. East Surrey Regiment, died 30th March 1918, aged 38. Son of John and Ann Tomalin, of Kettering, Northants; husband of J. M. Denton (formerly Tomalin), of 81, Albert Rd., Wellingborough.